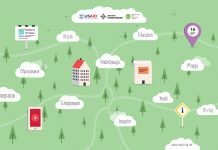 Main Goal of the Project: Providing access to education for out-of-school children in 12 municipalities in North Macedonia. 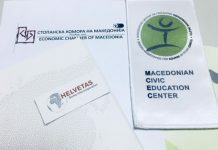 The implementation of this project will provide support in achieving the priority defined in the Education Strategy of the Republic of Macedonia for 2018-2025, which refers to increasing the scope of students and improving the inclusion in primary education, through implementing a sustainable identification model for children who are obliged to attend school and their monitoring until the completion of the compulsory education. – A procedure for free of charge nostrification of school completion documents obtained abroad for socially vulnerable children, in order to support them to continue their education. The municipalities and schools will receive support in the process of increasing the rate of enrollment and retention of the children in primary school, through applying the data sharing protocol for the identification of school-age children in three pilot schools. Also, in cooperation with the schools, trainings will be organized for the teachers and school support staff, which will focus on applying children-centered methodological approaches, as well as extra-curricular intercultural activities, in order to strengthen the inclusion of children from socially vulnerable groups. Within the project, and in cooperation with MoES, around 300 out-of-school children living in socially disadvantaged families will receive scholarship and support when enrolling in school, which will help the families to provide education for their children. 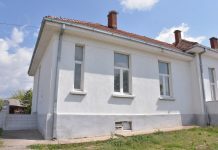 Activities enhancing the cooperation between the schools and the parents will also be implemented in order to ensure that the children will receive the necessary support during their education and stay at school, but also better master the teaching material.